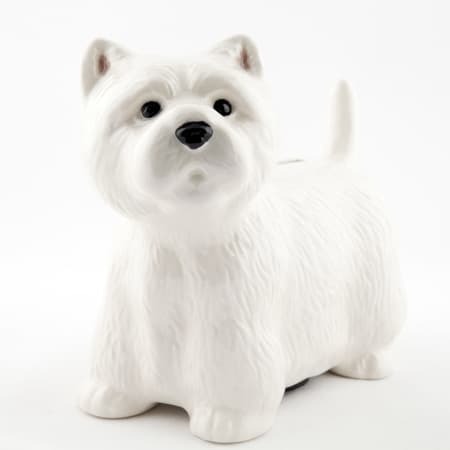 Gorgeous ceramic Westie money box by Quail Ceramics. Made in Britain to the highest quality and hand painted. Perfect for keeping your pocket money or even your pug fund.